SYSPRO MD for Africa, Mark Wilson. Prior to the Internet of Things (IOT), big data, artificial intelligence and predictive analytics, critical business decisions were made based on the analysis of historical data. Today, organisations that have a strong, future-fit ERP system in place, and that have implemented automation, have the ability to access huge volumes of data at the click of a button. It is easy, however, to get lost in the numbers. Knowing which information to pay attention to, and which to discard or save for further analysis, can be challenging. 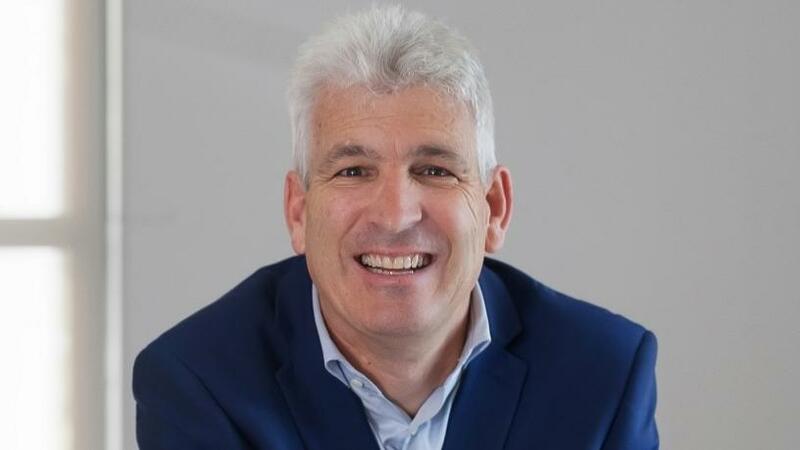 By ensuring that the insights you provide to your workforce are relevant, specific and actionable in real time, you will be able to positively influence the performance of the organisation, says SYSPRO MD for Africa, Mark Wilson. If you are operating in a flexible, adaptable, 'foresight-rich' environment, you have the ability to make quick decisions that will benefit your bottom line and enable you to take advantage of potential opportunities. To foster such an environment, you need to be getting the most value from your data analytics. If the right data gets to the right person, at the right time, and the information is presented in context, and in an easy-to-understand format, then your operational insights are actionable. Having access to these insights empowers your workforce to make intelligent decisions that will help the business grow. Understanding whether the insight is important and influential, you need something to compare it to that gives context to your data. By aligning your insights with your key business goals and strategic initiatives, you will be able to gauge whether or not it should be actioned with a sense of urgency, or whether it can be scheduled for a later date. In order to encourage your workforce to use the insights available to them, and to act appropriately, it's a good idea to align their individual KPIs to the business' goals and strategy. One of the best ways to encourage adoption of your ERP system is to show your workforce that it does actually work. By revealing what was learned from the analysed data, how it was acted upon, and the results of said action, you can influence their acceptance and use of the system. By revealing that proactive reactions achieve positive results, and that inaction can lead to serious problems for the business, you're able to give them good reasons to adopt. In a world proliferated with mobile devices, it is easier to deliver the insights directly to the relevant manager, so they can act immediately to correct an issue that might threaten production. Insights that alert you about potential duplicate orders, a supply delivery delay, or a machine that's overheating, are only useful if you receive the information timeously. Real-time insights help business leaders to answer a myriad of important questions, such as: why productivity slowed, or why orders increased at a particular time. If your management team can see, for example, that your stockpile of raw materials is decreasing more rapidly than usual, as it is happening, then they are able to react more quickly. This gives them the opportunity to proactively respond to the increased demand, by replenishing stock ahead of schedule, thereby keeping production on track. The more specific and complete an insight is, the more likely it is to be appropriately acted on. If your team can see that the reason the orders have increased is due to a flash sale being run on a particular product range, then they will understand that they do not need to increase the supply on a permanent basis, but rather bridge it with an ad hoc order. Without that real-time, accurate and relevant data, your production line could grind to a halt, resulting in you not fulfilling orders, and also putting future orders at risk, due to poor performance. A strong, future-fit ERP system should be able to deliver simple data visualisations and messaging that accurately and clearly explains why the insight is important, and how taking action can help the person receiving it. If the insight isn't easy to understand, or is not relevant to the user's role, then odds are high that it will be ignored. Knowledge is not valuable if it's not shared, relevant, accurate and actionable. So often, businesses fail because there are disconnects and silos that block the flow of information. SYSPRO's latest release was developed to remove these potential disconnects, and enhance productivity, by simplifying the user experience (UX), and providing actionable insights that drive positive business behaviour. The release provides business owners with instant insight into the status, condition or health of KPIs aimed at promoting proactive action and driving improved business behaviour. Insights are presented simply, and in summary, with the drill-down capability for more detail. Operators at all levels in the organisation are now empowered with a real-time view of information that is relevant to their particular role, without needing to move in and out of specific functions. In this way, business owners, or organisational-stream owners, can easily create and action work-to-lists to the user's Workbench. By incorporating SYSPRO Harmony - the social media-type interface into business insights - users have access to data trends and further insights, and can collaborate easily with others. This gives them the means to act quickly and proactively. By providing actionable insights across your business and putting them in context by aligning big picture elements to operational areas, workstations, KPIs and business performance measures, you can gain a competitive edge. SYSPRO is a global, independent provider of industry-built ERP software designed to simplify business complexity for manufacturers and distributors. Focused on delivering optimized performance and complete business visibility, the SYSPRO solution is highly scalable, and can be deployed on-premise, in the cloud, or accessed via a mobile device. SYSPRO's strengths lie in a simplified approach to technology, expertise in a range of industries, and a commitment to future-proofing customer and partner success.